The highly anticipated third installment of Marvel Studios’ Captain America franchise is finally and ready to hit the summer box office. 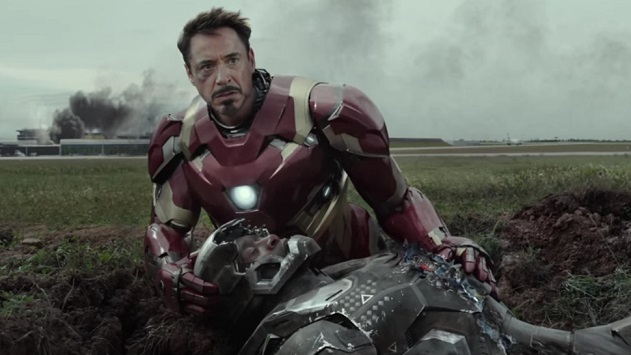 <Captain America: Civil War> is another wham, bam movie that has Steve Rogers leading the newly formed team of Avengers and it seems the captain is no longer alone! Yes folks, the captian needs help now to fight the bad guys in the continued efforts to safeguard humanity, but after another incident involving the Avengers results in collateral damage, political pressure mounts to install a system of accountability, headed by a governing body to oversee and direct the team. 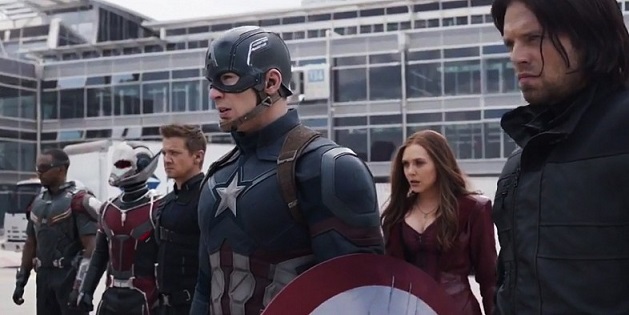 Without giving away too much of the story, this new status quo fractures the Avengers, resulting in two camps – one led by Steve Rogers and his desire for the Avengers to remain free to defend humanity without government interference, and the other following Tony Stark’s surprising decision to support government oversight and accountability. Sounds exciting, but leads to a lot of infighting and you begin to wonder where the real baddies are. Hence, which side are you on? All your Marvel favourites are back, from Steve Roger, the Captain America to Tony Stark/Iron Man; Natasha Romanoff/Black Widow; Bucky Barnes/Winter Soldier; Sam Wilson/Falcon; Colonel James Rhodes/War Machine; Clint Barton/Hawkeye and Wanda Maximoff/ Scarlet Witch. 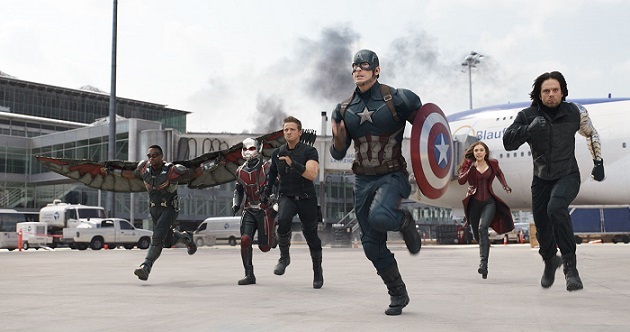 The film also includes an outstanding supporting cast, including Paul Bettany as Vision; Paul Rudd as Scott Lang/Ant-Man; Chadwick Boseman as T’Challa/Black Panther; Emily VanCamp as Sharon Carter; Daniel Brühl as Zemo; Frank Grillo as Brock Rumlow/Crossbones; Tom Holland as Spider Man; William Hurt as General Ross and Martin Freeman as Everett Ross. The casts couldn’t get any bigger than this and there is non-stop action aplenty for everyone to enjoy. The question “is it as good as the last two” really boils down to your own personal expectations and the storyline wasn’t totally convinced. One moment when you felt hoodwinked into thinking the baddie was going to unleash all kinds of terror, but in actual fact it is a war, indeed the civil war of psychology. There are some fun moments to drag onto this long film with intend convoluted storyline and giving you a bum steer before the final denouement. 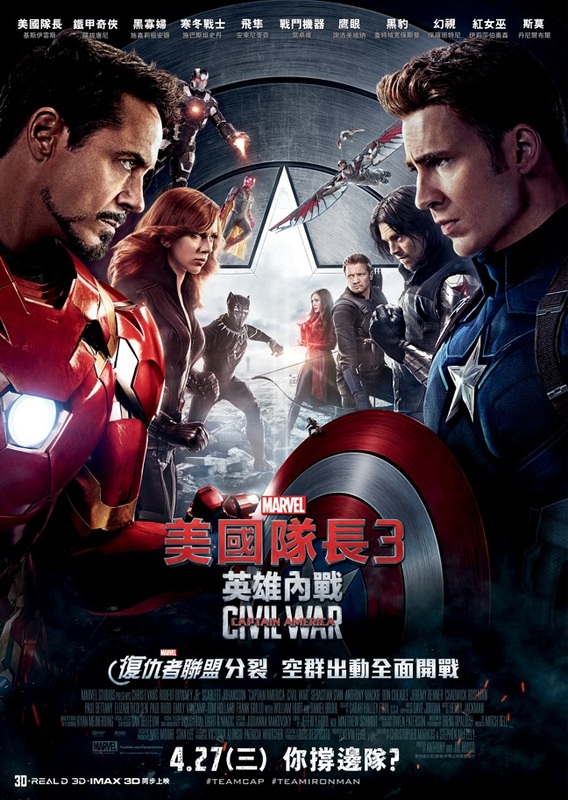 Directed by Emmy® Award-winning directors Anthony and Joe Russo from a screenplay by Christopher Markus & Stephen McFeely and at least there isn’t any re-run of the previous installments, as they stated that they felt like they needed to go in a radical direction if they were going to direct another Captain America installment. It is a strong team that once again brings the characters to life with a lot of self-deprecating humour and strong action sequences but some of the action was too forced or drawn out. A “less is more” approach would have given the film a tauter structure that would have created more impact. Yet, die hard Marvel fans will still patronize and inject their contribution by creating another box office bonanza for Marvel Studios.